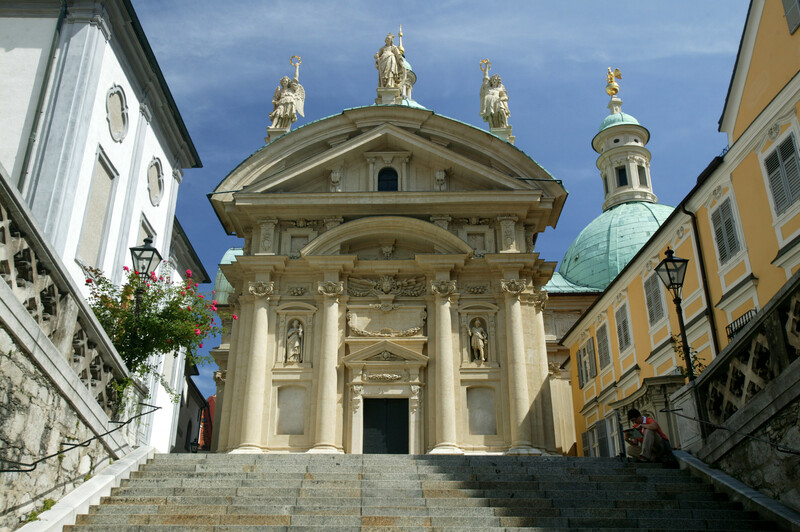 Located about 200 km south of Vienna, Graz is the second biggest city in Austria after the capital. 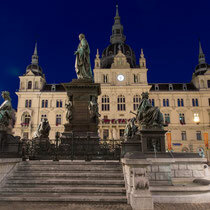 It’s known for its charming old town, good food and an extensive cultural scene. The heart of Graz’ old town consists of the pedestrian areas Herrengasse and Hauptplatz where a lot of cafés, shops and boutiques are situated. The historical center of the town with its small streets and picturesque red rooftops was declared a UNESCO world heritage site in 1999. 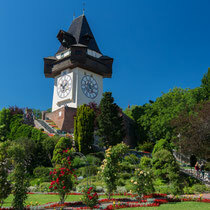 Directly above the old town on the hill Schlossberg sits the probably most famous landmark of Graz, the Uhrturm (clock tower). It can be reached either by elevator, by funicular railway or by foot. The funicular railway is already operating since 1894 and scales on its drive a maximum incline of 60%. The trains have large glass windows and glass roofs to better enjoy the view on the way up or down. 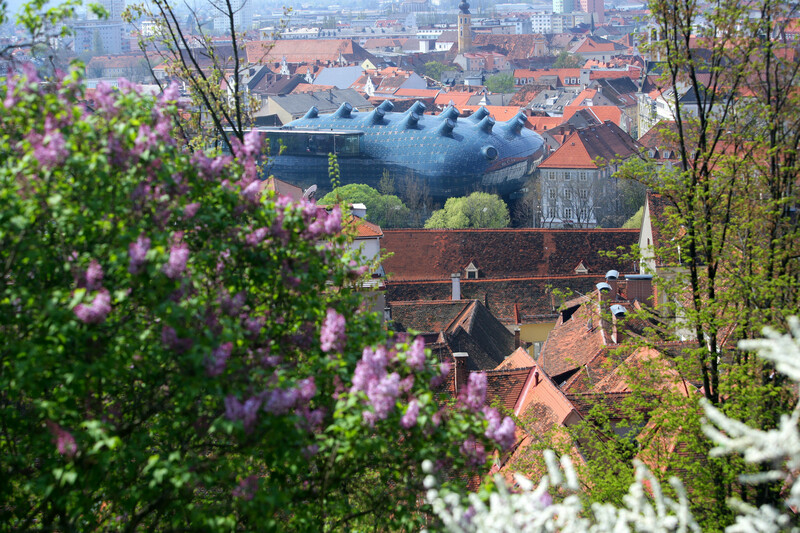 Graz was chosen to be the European Capital of Culture in 2003 and took this opportunity to extend its already existing wide range of museums and cultural activities. 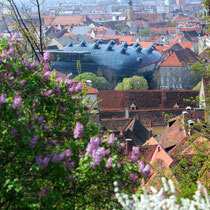 It was the incentive to build amongst others the Kunsthaus Graz, with its modern and otherworldly presence among traditional and historical buildings, as well as the Island in the Mur, an artificial island that sits in the middle of the river Mur and houses a café and an amphitheatre. By the way, the tramways in Graz can be used for free for a 2 station ride in old town! 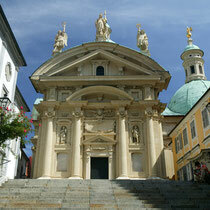 The Styrian people are also very proud of their traditional food and excellent wine. 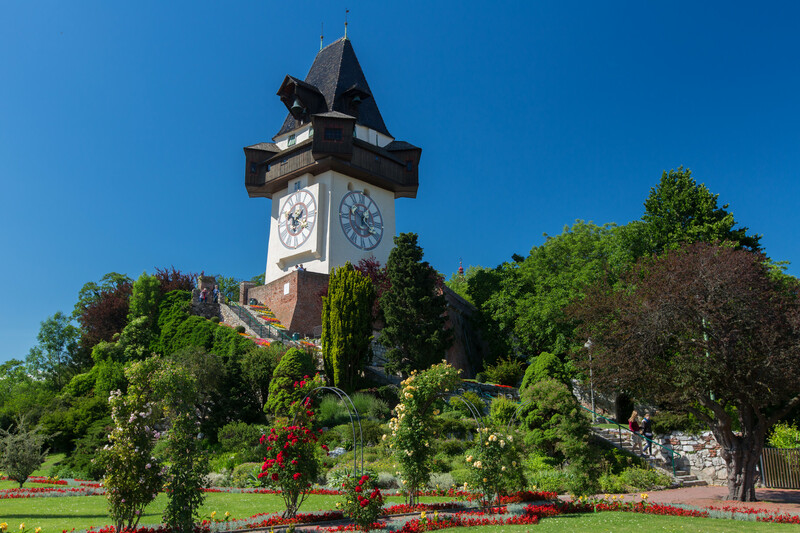 Take a daytrip to the southern part of Styria, also known as the Austrian Tuscany, to visit the local vineyards and make a stop at one of the traditional “Buschenschank” restaurants. Another typical Styrian speciality is their pumpkin seed oil that will be served on everything from salads to vanilla ice cream. Once a year all hell breaks loose in Graz and its surroundings as the Formula One arrives at the Red Bull Ring in Spielberg, just 74 km from Graz. 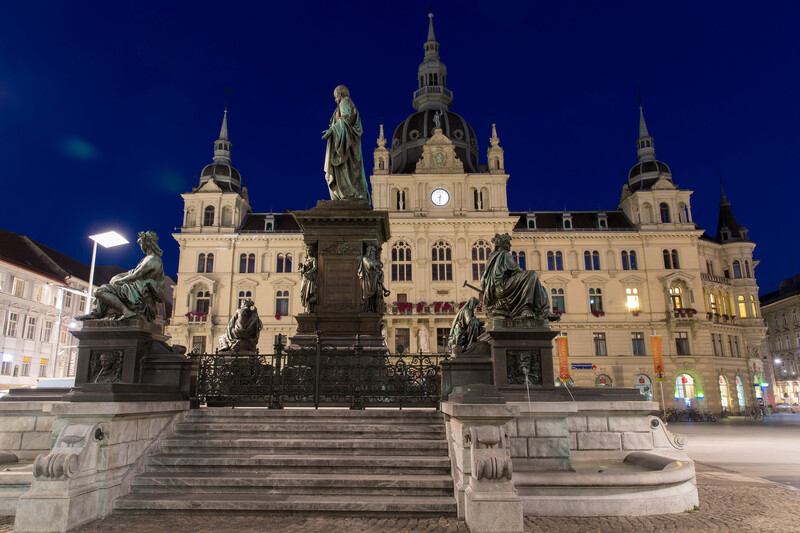 As Spielberg itself has only very few hotels to offer, most visitors to this spectacle choose to find rooms in Graz instead. It’s the perfect opportunity to mix the race experience with a bit of relaxed city sightseeing and the amenities of a larger city.